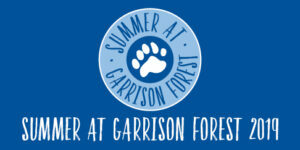 I am thrilled to announce that I will be teaching two Safe Sitter classes at Garrison Forest Schools Summer Camp. The Safe Sitter® program is designed to prepare students in grades 6-8 to be safe when they’re home alone, watching younger siblings, or babysitting. The Instructor-led class is filled with fun games and role-playing exercises. Topics will include: Safety Skills, Child Care Skills, First Aid & Rescue Skills, Life & Business Skills and CPR Skills. Certificate upon completion.